Langard Lifford Hall are one of only a few accountancy firms in the country to be licensed to carry out probate work. 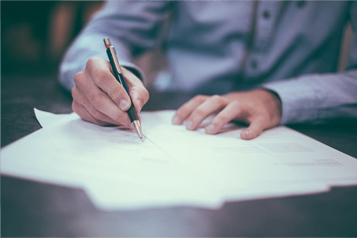 We are able to assist in the whole probate process if required or alternatively can assist you in selected parts of the process. Areas that we can specifically assist on include acquiring the grant of probate, completing Inheritance Tax matters with H M Revenue & Customs, gathering and distributing estate assets, preparation of estate accounts and estate administration. We can also assist in lifetime planning matters, which can include preparation or alteration of a will for you as well as Inheritance Tax planning. Langard Lifford Hall are licenced by the Institute of Chartered Accountants in England & Wales to conduct non-contentious probate activities under reference number C009028663. As part of our probate accreditation, Langard Lifford Hall is required to monitor the diversity of our staff and the results of our most recent survey are available on request. Langard Lifford Hall considers itself to be a highly inclusive employer.